Arts in the Ville open art weekend Art venues all around Helensville open for the weekend. 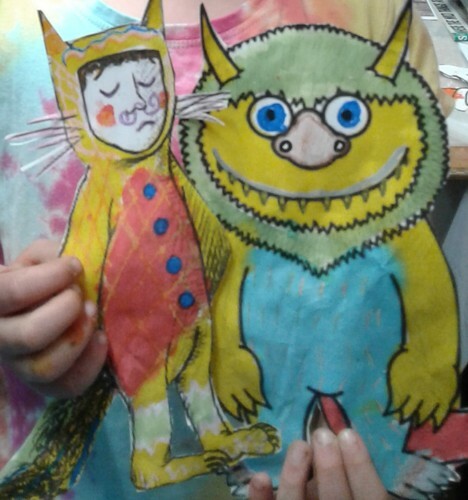 Activity with Sarah Harrison based on the book Where the wild things are by Maurice Sendak. 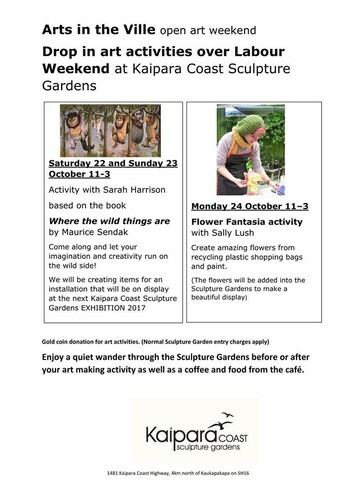 Come along and let your imagination and creativity run on the wild side! We will be creating items for an installation that will be on display at the next Kaipara Coast Sculpture Gardens Exhibition 2017. Gold coin donation for art activities. (Normal Sculpture Garden entry charges apply). Enjoy a quiet wander through the Sculpture Gardens before or after your art making activity as well as a coffee and food from the café.